Two years ago, my first Valentines day with Patrick, I was in the US at my college. The weekend before Valentines day an acquaintance randomly texted me and asked how I was doing. I was enthusiastic at that time. Patrick had totally surprised me by coming down from TN to FL! I did not expect him...but that is a different story. I told her about Patrick's surprise... but you see, her boyfriend had just broken up with her. It was a rather nasty situation and it would have been her first Valentine as well. She was sad and hurt and told me she "hated" Valentines day. What could I do? I never have been in her shoes but I did want her to be unhappy, not let this other persons rudeness stop her from being happy 'cause he sure didn't care. I texted her back much of what I wrote on the first day of the Series.....that Valentines is not about boyfriends and girlfriends but about showing extra love to the people close to you. I told her she could have a party with her girlfriends. She wasn't to excited about the idea but a few hours later she wrote me that they had planned a little party. She thanked me for the idea....so how about you? Why not plan a party for YOUR girlfriends? The heart yarn wreath....is so simple but beautiful. X O X ....window garland. Rose heart, burlap, black frame.....what else do I have to say...cute! This above craft is super cute and rustic looking. Heart Pizza......how cool is that! Heart Carrots.....maybe in a soup? 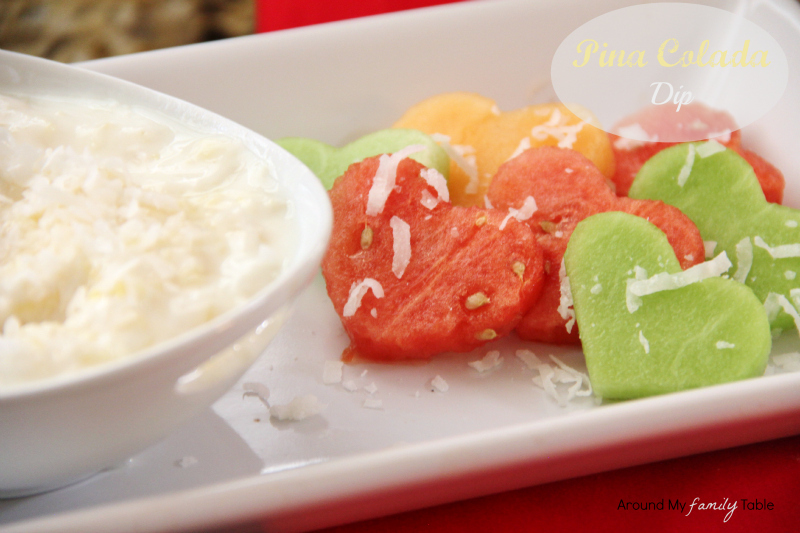 Pina Colada Fruit Dip....with fruits cut into shapes?! Meatloaf hearts....how cool is that! If you just want simple ideas for food...on a low budget but lots of people.... <here> are a list of ideas. 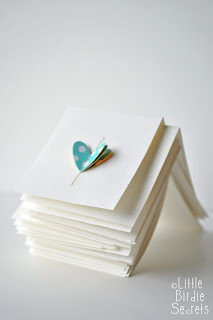 Easy love notes.....I totally want to do these! Be mine "hand made" card....nice. 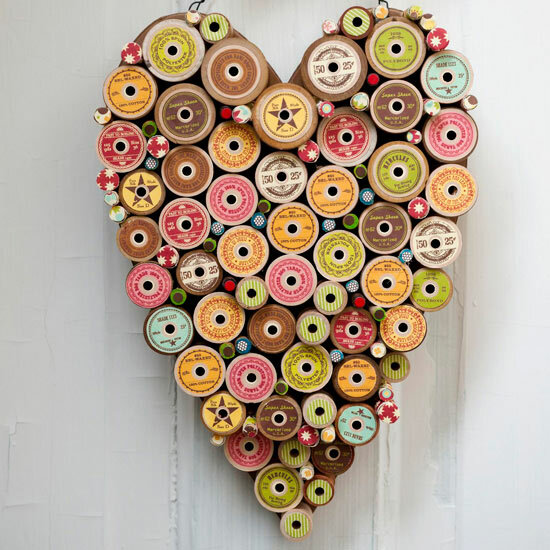 Newspaper heart garland...when can I do this? 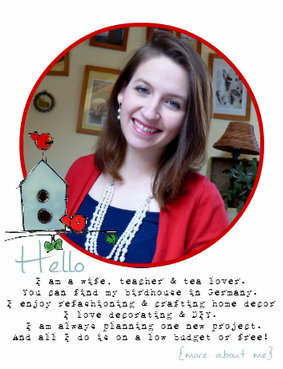 Scrapbooking, Birds, Love....I want to make this one day. Doily Candle holder...simple & everyone will love it. 52 Reasons "I love you".....for your mom? 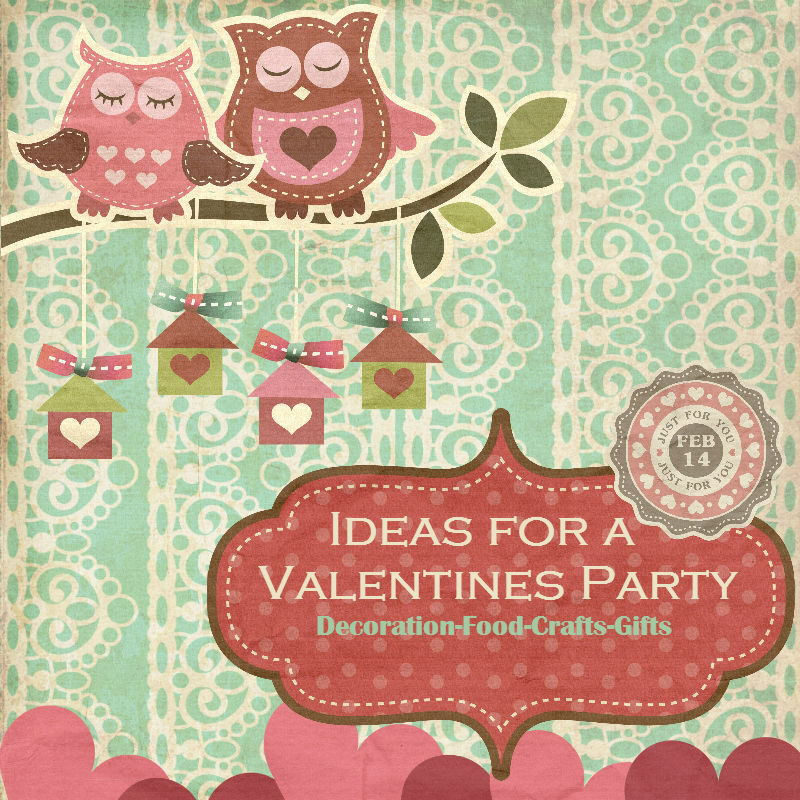 I have a few more ideas that I am collecting on my Pinterest board "Valentines Day Everything". If you have anything on Valentines you'd like to share (or a devotional we might enjoy) you can link up >here<.